Marques de Murrieta Tinto Gran Reserva Rioja 2011 Rioja Alta, Spain This wine is made up from a blend of 91% Tempranillo, 2% Garnacha , 4% Mazuelo grapes and 3% Graciano . The ageing process for this wine is 30 months in 225 litre American oak barrels and 24 months in bottle before release. 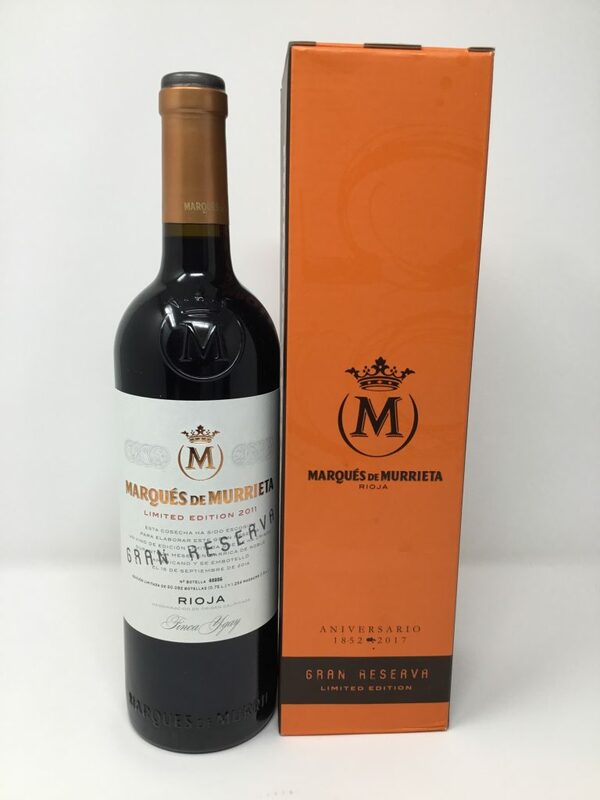 Marques de Murrieta Tinto Gran Reserva Rioja 2011 is a dark intense red brick colour. Full, mature aroma of mellow red and dark fruits with hint of spicy oak. Full bodied and generous mellow fruit softening as it matures. Lovely finish and aftertaste of spicy fruit as it starts to soften and mature.